Providing the absolute best service to our patients is one of our goals. We are excited about utilizing a high-tech portable laser called the DIAGNOdent. The DIAGNOdent Laser detects even the smallest cavities at the earliest possible stage. It actually looks beneath the surface of your teeth to detect decay “from the inside”. Early detection allows us to place small microscopic fillings virtually invisible to the naked eye. When this detection system is used, treatment is very quick, painless and in most cases without the need of anesthesia. 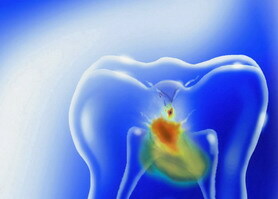 The DIAGNOdent Laser is painless, and invaluable in keeping your teeth for a lifetime.